Chatsworth” Beyond Limits” sculpture exhibition. Always good, with some interesting work in the gardens. Finishes end of October. I have 2 for one tickets if anyone wants them. Artspace member Patsy Whiting has recently had a lot to celebrate. 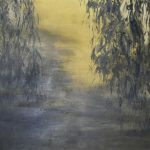 She was recently awarded not one but two prizes in the national Derwent Art Prize. 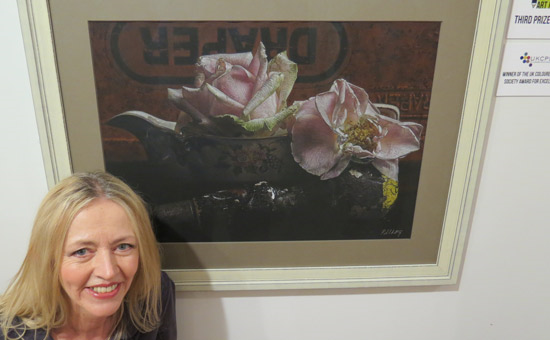 Patsy won both the Third Prize and the UK Coloured Pencil Society Award for Excellence with her coloured pencil drawing with the curious title of ‘Garden garage marriage’.